SAYER Top-up in the bus! Now is even smarter to travel around Sharjah City with your SAYER Card. Passengers can now purchase and top-up SAYER Cards on all Mowasalat Buses by paying the driver. With this feature you can save more precious time going to the terminal to buy and top-up your SAYER Card. How to top-up SAYER in the bus? 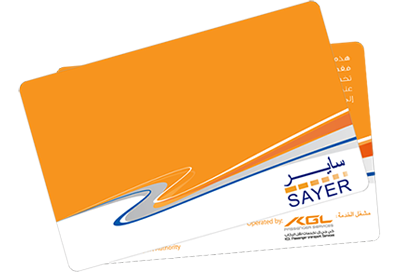 Sayer Cards can be purchased and reloaded at the designated terminals and in Mowasalat buses by asking the driver. Board any Mowasalat bus and ask the driver for SAYER top-up. Inform the amount to the driver to top-up. Take the SAYER Card together with the purchase receipt. The purchase receipt will show the previous balance plus the amount added to your SAYER Card.